What really solidified my desire to focus on becoming a stay-at-home mom was my miscarriage. Getting attached to that baby so fast, having only weeks to celebrate the new little life, and then to have to let go of that life in such a gruesome way, made me realize how precious time is-particularly when you have a little being to nurture. Now I look at 8 years of being a homemaker/stay-at-home mom and the time I have spent at home since my oldest was born feels like it has progressed so fast. I am glad I chose home. There are so many working moms who wish they could stay-at-home. I think it takes some planning to jump into a one income scenario. These days, there are so many “needs” and they require money. For my husband and me, when we decided that I would stay-at-home, we knew the first couple of years would be a little tough. We had to learn how to live within our new budget. It took some time to learn what those limits were and luckily he earned promotions that helped ease our bottom line. It is not without sacrifice, but, what goal is ever achieved without working hard, gaining some things and having to give up others? Family is a worthy goal-worth the time and effort. I have gathered my favorite tips, resources and suggestions from some fellow stay-at-home moms. There are a few books linked here too that specifically share how and why living life as a stay-at-home mom can work and be worth it. No fear, read on to prepare and be encouraged, because you can do it. I wanted to share some thoughts from the moms in our Stay-at-Home Moms Share Together group and my Stay-at-Home Mom Bloggers group. These moms are living the SAHM-life every day. They give some helpful advice in response to my question: What tips do you have for a mom who wants to be a stay-at-home mom? Have a game plan. Talk with your partner about finances, responsibilities, expectations, priorities, etc. Set goals to lower debt, explore work from home opportunities, and don’t give up! Connect with other SAHMs in your area for advice and support. Balance. Just because one parent stays home doesn’t mean that they’re any less deserving of a break. Stay at home moms need ‘me’ time too. It really does take a few years to find that balance and mutual respect between what the stay-at-home mom does all day and what the working dad contributes. I know it has taken longer than I want to admit in my house, but we felt pretty balanced at about the 2 year mark. Before you make the jump, test your ability to live on one income. Pretending you only have access to your husband’s salary and save every bit of yours. Financially: before you quit work budget the way you would if you only had 1 income. If you currently have two incomes, I think it’s important to try to live on one income so you can get used to being on a stricter budget before becoming a SAHM. My tip would be to find an outlet. Prior to having my first child, I was climbing the corporate ladder in a very successful marketing career. When my daughter was born, I decided to put my career on hold and stay home to raise her. I underestimated the huge transition it was going to be – pivoting from corporate life to mommy life. While I wouldn’t trade staying home with her for anything, I also learned that I needed an outlet – something that I could do beyond the duties of a stay at home mom that connected me to the outside world and exercised my pre-mommy life education and skill set. For me, it was creating my blog and doing some freelance writing gigs on the side. But I would suggest that every SAHM find some sort of outlet of their own (painting, volunteering, crafting, blogging, etc.). I needed to find my outlet so I wouldn’t lose who I am. It is so easy to fall into the mom & wife role (which are incredible) and lose YOU. Your hobbies, your fun, etc. Obviously making sacrifices for your family is rewarding in itself but I started to get burnt out. As soon as I started taking an hour for myself a day I sprung back. Some days it’s taking a bath or even cleaning with my headphones on. Others is spending time outside of the house. Whatever it is take some me time! 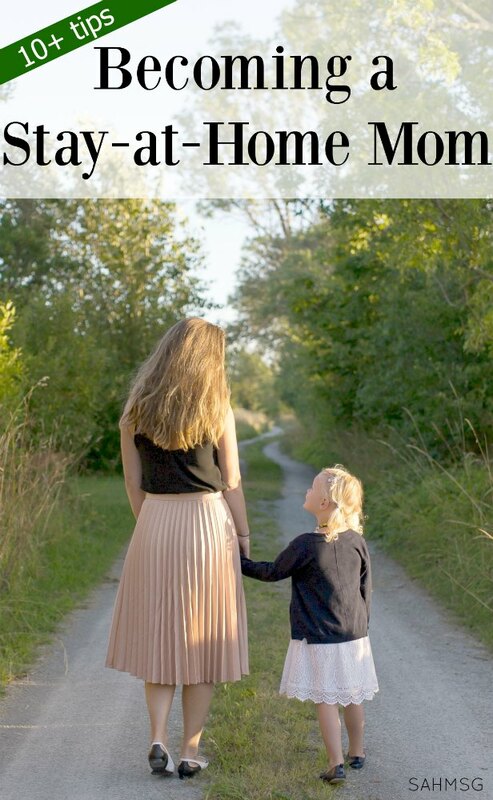 One of my favorite SAHM bloggers,wrote an entire post on the topic of becoming a stay-at-home mom! She is a mom of 8 now and has her home duties led by her faith. She calls motherhood a calling, and I agree. Her tips, as such an experienced SAHM, are so valuable! As a former child care provider and preschool teacher, keep in mind that if your child has been in a daycare environment before being at home full time with you, there will be a transition for him or her as well. Daycare is very different from home, unless you used a home daycare. Children are getting constant interaction, stimuli, and everyone is on the same schedule-for the most part. Although children are allowed the freedom to choose what they play with, there is a more structured schedule than at home. I chose to focus on becoming a stay-at-home mom after experiencing these realities of daycare environments. Children need free time and a schedule that allows them down time when they need it, not just because of the time on the clock. Being at home allows children that freedom to adapt to their needs more readily while they are still very young and need that flexibility. Most importantly, developmentally, your children need you…a lot. Yes, the financial aspects are important to consider, and so is the life-long relationship and importance of family. 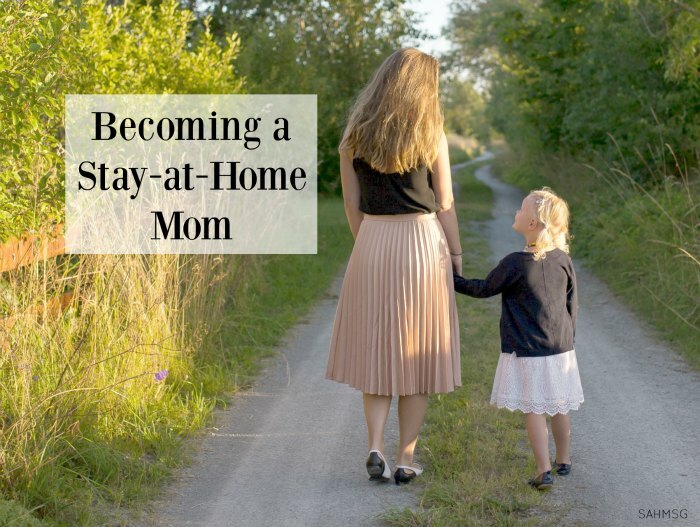 The reality of being a stay-at-home mom is not that you throw away your career to be at home, but that it is a short period of time, a season of life, when our children are young and they need us-and we benefit from being around them as well. 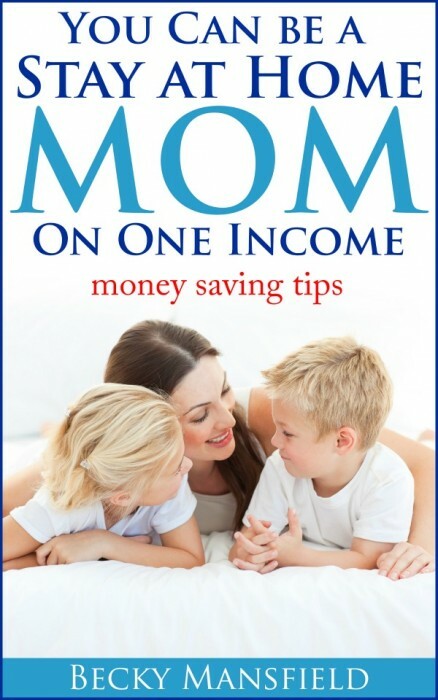 You can be a stay-at-home mom on one income. Join our private group on Facebook to connect with other moms at home. Check out all of the Mom Motivation Mondays posts to be encouraged! What tips do you have for the mom who is thinking about stay-at-home mom full time? Mom Motivation Mondays is a weekly series where contributing writers share their motherhood experiences to encourage you to find the joy in being a mom. I used to be a preschool teacher and work in day cares. Life is nice with flexibility. Structure is good too. It’s nice to live life accepting one another temperaments and creating routines that fit all of our needs. I sometimes do this really messy though. It’s awesome when a song in our step is recognized and our feet can dance together as a family in perfect harmony. And when we stumble we help each other up and start all over again. God’s Mercies are new every morning. We really do get the flexibility to create routines that benefit us all-that is so true! I am so blessed as well that God led me to this choice and I would not change it. I love your last line about helping each other when we stumble. That is perfection!